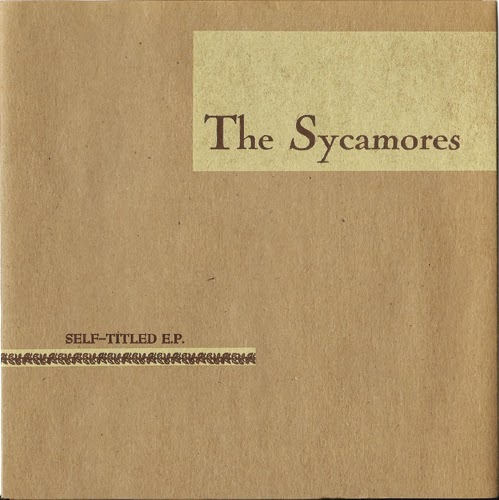 Aside from their location (Minneapolis) there isn't anything I can tell you about The Sycamores right off the top of my head. Luckily I don't have to, because they have a fairly comprehensive website to do all the talking. A few years ago, I snatched their self-titled, 1995 album from a bargain bin, and while it didn't thoroughly bend my ear I took a chance on an earlier 45 that I'm featuring today. "Red Wing Boots" fares better here than on the full length if you ask me - a deftly crafted morsel of rootsy power pop with no shortage of strummy persuasion. We are given two b-sides, including the twangy "Stupid Waste." Mouthpiece Frank Randall bears a slight resemblance to Matthew Caws, but the Sycamores are in almost entirely different terrain than Nada Surf. 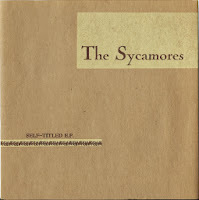 You can read up on further Sycamores releases, and how you might be able to obtain them here.